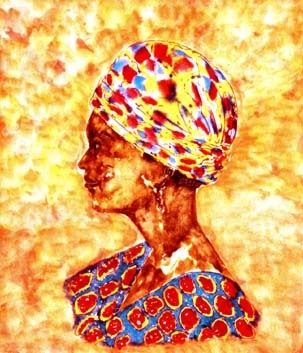 A colorfully dressed West African woman, water color painting. Original not available. © Wayland House 2019. All Rights Reserved.